Crystal LED Ballerinas. 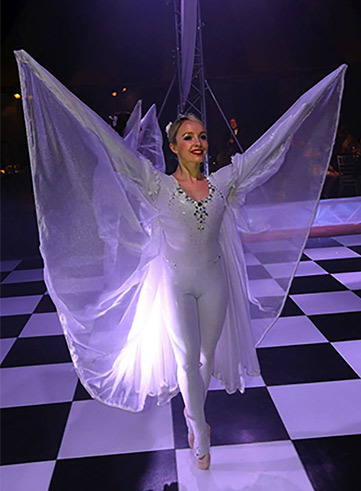 Our winged ballerinas create that touch of magic that every event needs! 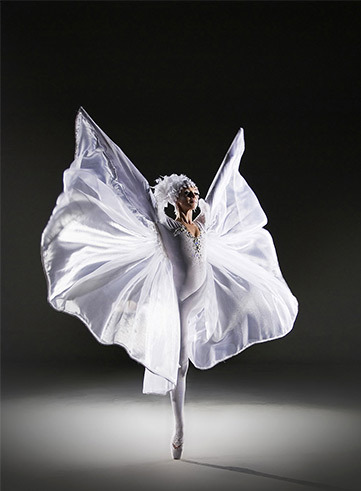 Originally commissioned by Swarovski, these costumes are stunning in their design and effect. They light up with LED chest plates & are adorned with Swarovski crystals that sparkle & catch the light so beautifully. The ballerinas perform stunning choreography on ballet pointe with the large, spiralling wings making mesmerising patterns, all in unison. We love these ladies and know you will too, especially if you want a beautiful spectacle! Ballerinas on pointe in corsets; tutus; catsuits.